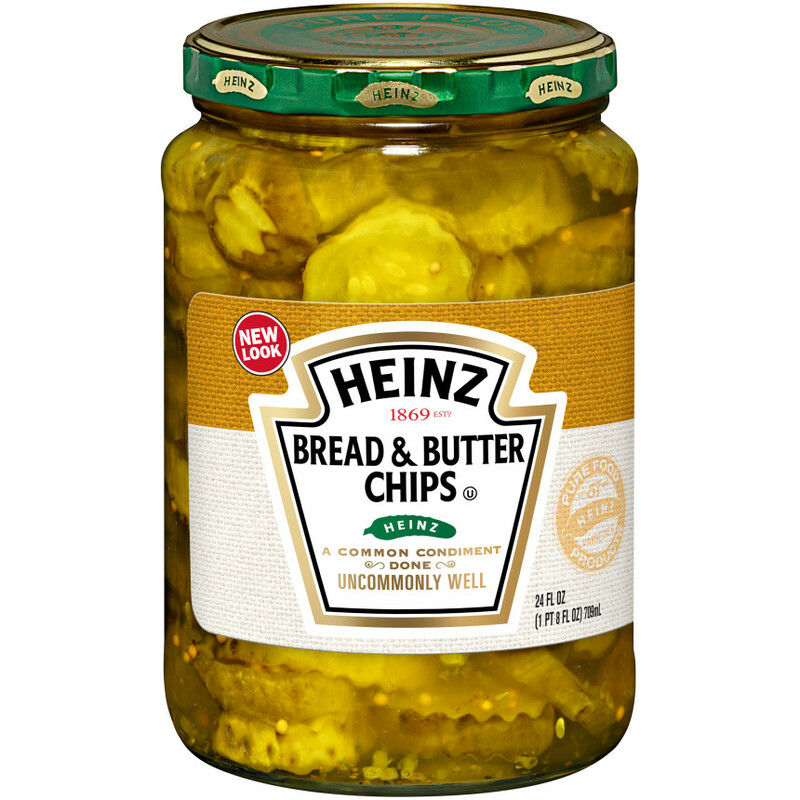 With all the crunch of a Heinz pickle, these Bread & Butter Chips are deliciously tart with a hint of sweetness. Great on sandwiches or perfect as a quick snack! CUCUMBERS, HIGH FRUCTOSE CORN SYRUP, DISTILLED WHITE VINEGAR, SALT, MUSTARD SEED, DEHYDRATED ONION, CALCIUM CHLORIDE, CELERY SEED, FD&C YELLOW NO. 5, POLYSORBATE 80, NATURAL FLAVORING, CALCIUM SILICATE.